A fall palette for the palate. Love a label that matches the season’s colors. And I love this wine. 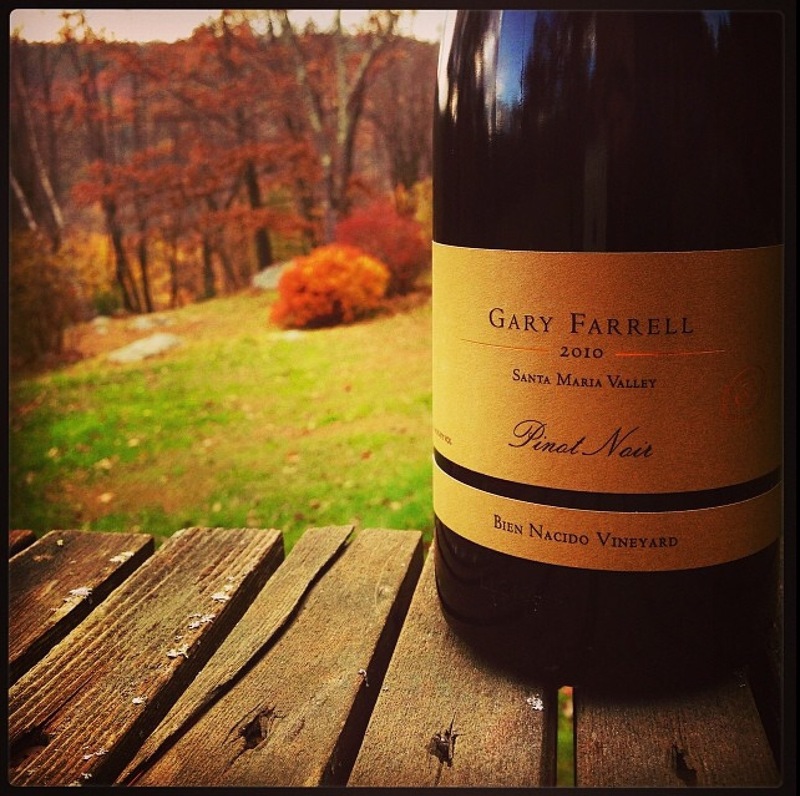 Pinot is SO freaking perfect for fall. What’s everyone drinking tonight? Hope good stuff. Tags: happy hour, pinot noir, wine. Bookmark the permalink. OK, you’re the expert on wines shown or drank in movies or on TV so I want to pick your brain. The HBO series, “Broadway Empire” shows wine bottles washing up on shore as the main character stands at the edge of the ocean. The setting for the show is Atlantic City. Any info on what this wine is? just curious…. Arg, I don’t watch that show even though everyone says it’s great! What’s the time period? Love the picture. I will definitely try.